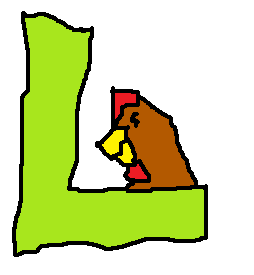 Today I am proud to present the letter 'L.' It's a classic letter used in various words such as "Lamp," "Llama"(a rare double L opening), "Lyrical," "Mall," "Lamborghini," and Lots of others. I opted to use a flaring style one this one. It probably could have come out better but it seems quite solid to me at any rate. Once I pick up 'M' I'll be half way to completion. Also my secret project is slightly collaborative and someone hasn't gotten back to me with something I wanted to put up here so I don't have it to show yet.